Camellias in your Spanish Garden. 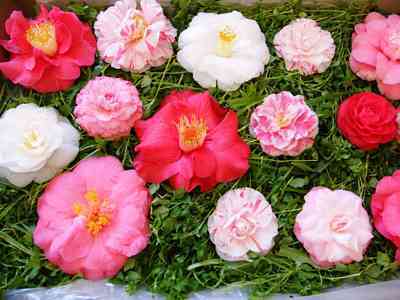 “Camellias are amongst the world's best flowering plants. They are hardy and disease resistant, most varieties have attractive, glossy green foliage, and they put on their fabulous flower display in the cooler months of the year when the rest of the garden often looks dull and bare”. Don Burke, Burke's Backyard. Camellias make a fine addition to any garden and if you have a suitable place to give one a home, I can promise you will fall in love with it and cherish it for many years. 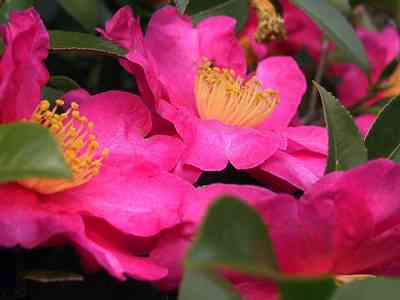 There are over 3000 varieties, cultivars and hybrids of camellia so choosing the right plant may be daunting for a newcomer. 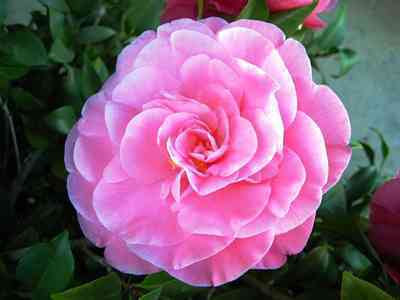 The first aspect to take into consideration is the placement of your camellia. They really do not like too much exposure to wind, but otherwise are quite easy to grow. As a general rule most camellia species will prefer a semi-shade position rather than full sun, the exception being C. sasanquas which are quite sun hardy. Camellias are considered relatively slow growing and as a result all species will be quite happy in a pot or tub. 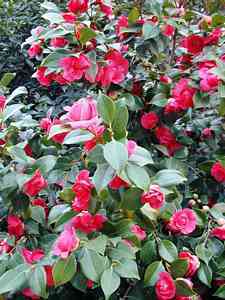 Depending upon the variety, mature camellias ten years old or more can vary in size from a small shrub to a tree, so space requirements should always be considered before planting in the ground. 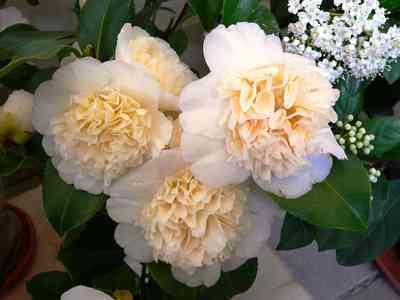 Consider also what purpose your camellia may be serving. The most popular of the species, C. japonicas, represent the widest range in flower form, colour and size. As a result they make excellent aesthetic specimens. C. sasanquas can easily be transformed into outstanding hedges, espaliers, topiaries and groundcovers, whilst hybrids offer a strong middle-ground, resilience, and even fragrance. Lastly decide on the colour and style of flower that suits your needs. Camellias are available in different hues and shades of red, pink, white and combinations of the three called variegations. There are even some rarer yellow species of camellia. Flowers vary in size from miniature to very large and there are also different flower forms or styles to choose from, including single, semi-double, anemone form, peony form, and formal double. Camellias are generally planted in the late fall through the early spring, although they may be set out any month of the year if properly cared for. Adequate moisture is a necessity until the roots become well established in the soil. 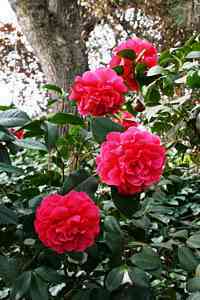 Whether planting camellias in the garden or in pots, the procedure is much the same and relatively simple. If planting in the ground, dig a hole at least twice the size of the root ball and make sure the top of the root ball is level with the soil surface. Camellias prefer a slightly acid, well-draining soil, so fill with a good quality potting mix especially for gardenias, camellias and azaleas (can be purchased at most garden centres). 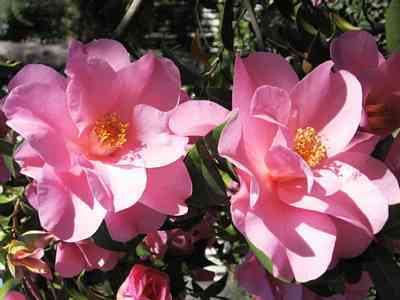 Make sure that the camellia is not planted too deep as camellias are shallow rooted. Planting too deeply is a major cause of unhealthy plants. Now that the plant is in the ground a good watering in is required. This will help both the potting mix and camellia to settle. As a finishing touch, add a thick layer of mulch such as bark chippings or compost to help to preserve moisture. In dry conditions camellias need to be watered well - especially in the late summer months when they are forming their flower buds. They will shed these if you keep them thirsty. 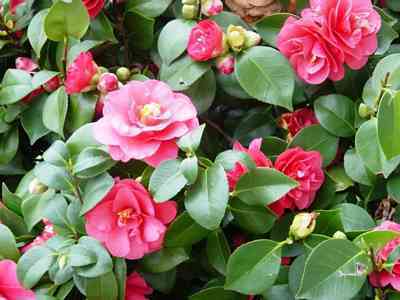 Feeding is ideally done each spring with camellia and azalea food when the camellia has finished flowering and new growth has started to appear. 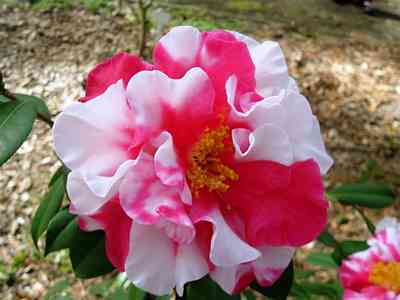 Camellias are considered very pest and disease resistant. Occasionally though, pests may become a nuisance. The pests that most commonly affect camellias are the sucking insects such as scale, aphids and mites. For easy and non-chemical prevention and control use insecticidal soap and white oil. Camellias often out-live the gardeners that planted them, and even though they are considered to be slow growing plants, they can become too large for specific areas of the garden. Pruning your camellias is not something you should be scared of, in fact it can be a very rewarding experience and doing so can yield thicker, bushier and healthier plants. C. Sasanqua varieties will happily tolerate quite thorough pruning from a young age. For other species of camellias it is recommended you hold off on pruning heavily until they reach roughly the height or shape you require, or the plant has matured. Pruning is best done at the end of winter, after the camellia has finished flowering and before new growth has begun to appear. If spring has arrived and your camellia is still flowering you may have to sacrifice some end of season blooms in preference for pruning before the new growth period begins. Camellias are available at nurseries and garden centres and there are surely no greater beauties to add to your Spanish garden.